Johnny Munoz obituary. Carnes Funeral Home. Jun 17, 2012 The Carnes Funeral Home Staff offers our sincerest condolences to the entire Munoz family. It was our honor to serve your family. Johnny Munoz went to be with his Lord Jesus on February 12, 2012. He was born September 28, 1948. 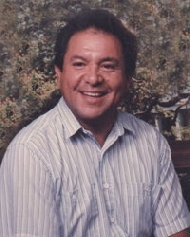 Johnny is survived by his wife, Virdeen Jantz Munoz; his son Ethan Andrew Munoz; daughter Erin Lenore Munoz; his father Conrado Munoz of League City; sisters Connie Rodriguez and Mary Rasmussen, both of Dickinson, TX. He was preceded in death by his mother Maria Luisa Munoz. Johnny was a long time resident of League City, TX and a member of Covenant Word Church in Webster, TX. He served his country in the U.S. Air Force and was a lay Evangelist and Minister for the last 28 years. Visitation will be Wednesday, February 15, 2012 from 10-12 AM followed by Funeral Service at 12 Noon at Carnes Funeral Home, 3100 Gulf Freeway, Texas City, TX. Burial will follow at Galveston Memorial Park, Hitchcock, TX.